Welcome! – We hope our favourite place becomes one of yours! Tangalooma Hilltop Haven – A luxury Tangalooma holiday house with outstanding ocean views, overlooking Tangalooma Island Resort, Moreton Island. This Tangalooma accommodation reflects the best of the Australian beach holiday, surfing and fishing lifestyle. The luxury accommodation is located at 10 Trochus Place, Moreton Island. Split over 3 levels, the hilltop holiday home offers 5 bedrooms, 3 bathrooms and comfortably accommodates 12 persons. Staying at the hilltop holiday home also entitles you to use the Resort Facilities . Tangalooma Hilltop Haven is ideally suited for a variety of a occasions, including a romantic getaway (honeymoon, anniversary), quick getaway, multiple families, or a group holiday – be it friends, extended family, fishing group, surfing group or some other sort of group (12 person accommodation). Wow. We stayed at Hilltop Haven over the weekend and did not want to leave. The views were absolutely stunning and the house was just amazing. We had 11 people (4 adults and 7 children aged between 11 months and 15 years) stay in the house and everyone had their own space and privacy across the 3 well thought out levels. I love how the middle level opens right up to give uninterrupted views of the bay and the kids loved having their own space downstairs with plenty to keep them occupied. Being able to make use of the resort facilities was just the icing on the cake really. I would definitely recommend a visit to the lighthouse, Champagne Pools/Honeymoon Bay and, everyone's favourite activity, snorkelling at the wrecks. Can't wait to go back. We had such a great time in this house, excellent views, close to resort and wrecks and soooo clean!! Will hopefully get back there soon. Stayed in the house for a weekend with friends and family for my 30th. House was perfect, position on the hill was great and the views were amazing. More than enough room for 8 people and with 3 bathrooms there was never a wait. Large open kitchen/lounge/balcony was the main feature that everyone enjoyed. Stayed here for my birthday, had so much fun. House was clean and the massive open plan kitchen was amazing! Beds were comfortable and plenty of warm blankets for the colder months. I had a wonderful time here! I wish I could live here! Thank you for allowing us to enjoy your lovely home! We had a fantastic holiday and loved every minute. Super sad to be heading home, but we will definitely be back! Thank you for a wonderful stay - beautifully stocked kitchen. All amenities are great. Sorry to be leaving - oh well. Thank you for thinking of everything in your beautiful house. We had a wonderful time enjoying my 40th birthday with family. We will definitely have to come back. A M A Z I N G V I E W S !! A M A Z I N G H O U S E !! Will come back again and again! Our favourite holiday house on Moreton! I booked 2 houses up on the hill for 24 guests over the weekend and Hilltop Haven House had the absolute best views and best breezes! The Moreton Island agency were incredibly helpful with nothing being too much trouble for Pam and Paul. Well recommended! Thank you for allowing us to stay at the Hilltop Haven. What a beautiful piece of paradise it is. We had an absolute ball here celebrating a 30th birthday!! Highlights were driving the buggy, what an easy alternative to the stairs, especially with a grandma, toddler and 5 month old baby. We also went to Cape Moreton Lighthouse - Spectacular!! Beautiful views, could see whales and dolphins playing, great spot to have a picnic! Thank you again! We will be back!!! Had a wonderful time celebrating my birthday here. We really don't want to leave. Thank you so much for sharing this beautiful home. The kids had so much fun. We loved exploring Moreton. Our highligh was enjoying incredible fresh seafood at Gutter Bar in Kooringal. DELICIOUS!! Couldn't have picked a better place for a weekend away. I still have the picture of the view in my mind!! Adore this house and intend to be a constant visitor. Easy to entertain as each level had something different. We could hardly get ourselves off the deck to do anything else as it was so relaxing and oh my gosh. Missing that view! Great holiday with the extended family. Plenty of room in the house, and plenty of fun activities around the resort and island. The quad bike adventure was great and thoroughly enjoyed by all! Hope to return and try the learn to scuba course. The wrecks are amazing! WE WILL MISS THIS STUNNING VIEW! WOW!! What a stunning place to stay. We enjoyed one week at your beautiful home celebrating my father's 70th birthday. We shared a very memorable time. WE loved the sandhills, the desert, tubing, snorkeling, GutterBar, sunsets, cocktails, light house, champagne pools, and much more. The house was stocked with everything you culd want and more. Thank you for sharing your amazing home with us. We will be back. The property lived up to our expectations in that the photos on the web site truly reflect the value of this amazing house for those special times in life to be celebrated. Its is very obvious that an architect had inputs to the clever design enabling many guests to co-exist each with their private space with the communal space simply stunning. 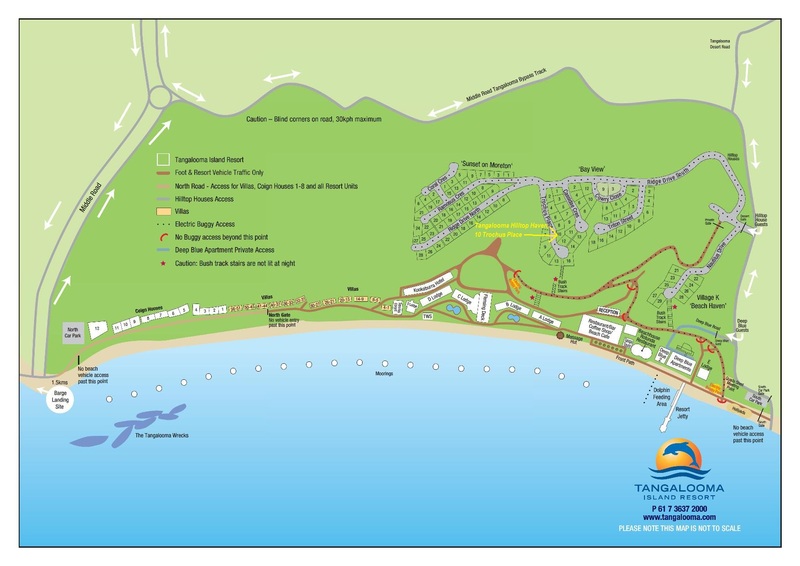 My only complaint is the very poor 4wd track known as the Tangalooma Bye pass which is need of a major works to make it a reasonable access. Come by boat and use the golf buggy is the way to go! P.S Kookaburras visited us every day - so lovely! I went on the big sandhills and it was a lot of fun. The house was a lot of fun! There are no words that can possibly describe how good our holiday was!!! The house-it's location, views, and vibe are beyond amazing and Moreton Island is breathtakingly beautiful. WE WILL BE BACK!!! Copyright © 2019 Hilltop Haven.